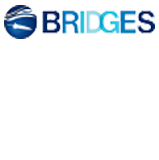 BRIDGES project (Bringing together Research and Industry for the Development of Glider Environmental Services) will provide the necessary tool for further understanding of the marine environment, assuring responsable exploitation and long-term preservation. This new ocean glider will support autonomous, long-term in-situ exploration of the deep ocean at large spatio-temporal scales. The sole European underwater glider, SeaExplorer, will be modularized, new sensors will be developed, and the operational methodology will be modified. The system will be improved by (1) adapting it for a depth rate up to 5000 meters, (2) implementing a novel payload architecture to increase autonomy and to accommodate the range of sensing capabilities needed, and (3) integrating the associated control support system for single and networked operations (mission behaviour, data management, planning, communications). The sensing capabilities will be enhanced and three main sensing modules will be available: (1) for environmental monitoring facilitating the effective implementation of an ecosystem based management under the Marine Strategy Framework Directive, (2) for the oil and gas industry, and (3) for the deep sea mining industry. The basic premises of the present call “Delivering subsea technologies for new services at sea-BG-06-2014,” are answered thoroughly: the ability to execute unmanned underwater operations, to operate in the deep ocean, and to assess the environmental impact of the maritime economy. In addition, this project will realize and promote the creation of collaborations among sensor and platform manufacturers, oil and gas and mining companies, public health and safety departments, and scientific and engineering experts. 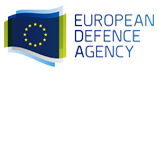 Road-, Air-, and Water- based Future Internet Experimentation is a project funded by the European Commission (H2020) under the FIRE+ initiative that aims to provide research and experimentation facilities for mobile Internet of Things (IoT) devices. The project introduces a unique, mixed experimentation platform across the space and technology dimensions by integrating numerous testbeds for experimentation in vehicular, aerial and maritime environments. RAWFIE is a great opportunity for experimenters to remotely perform experiments on different robotics devices (i.e. UAV, UGV and USV) for assessing the performance networking, sensing and mobile/autonomic domains. 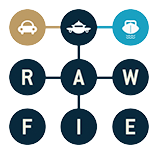 RAWFIE brings together thirteen partner organizations from eight EU countries and organizes two open calls to attract further partners into the consortium, such as: researchers from academia and industry, testbed operators and unmanned vehicles manufacturers. Communication networks tolerant connectivity interruptions. It is the project coordinator. NOPTILUS main objective is to determine – fully-autonomously & in real-time – the AUVs’ trajectories/behavior that maximizes the situation awareness under severe communication, sensing & environmental limitations. Current multi-AUV systems are far from being capable of fully autonomously taking over real-life complex situation-awareness operations. As such operations require advanced reasoning and decision-making abilities the current designs have to heavily rely on human operators. The involvement of humans, however, is by no means a guarantee of performance; humans can easily be overwhelmed by the information overload, fatigue can act detrimentally to their performance, properly coordinating vehicles actions is hard, and continuous operation is all but impossible. Within NOPTILUS we take the view that an effective fully-autonomous multi-AUV concept/system, is capable of overcoming these shortcomings, by replacing human-operated operations by a fully autonomous one. To successfully attain this objective, significant advances are required, involving cooperative & cognitive-based communications and sonars (low level), Gaussian Process-based estimation as well as perceptual sensory-motor and learning motion control (medium level), and learning/cognitive-based situation understanding and motion strategies (high level). Of paramount importance is the integration of all these advances and the demonstration of the NOPTILUS system in a realistic environment at the Port of Leixões, utilizing a Team of AUVs that will be operating continuously on a 24hours/7days-a-week basis. As part of this demonstration another important aspect of the NOPTILUS system – that of (near-) optimality – will be shown. Evaluation of the performance of the overall NOPTILUS system will be performed with emphasis on its robustness, dependability, adaptability and flexibility especially when it deals with completely unknown underwater environments and situations “never taught before” and its ability to provide arbitrarily-close-to-the-optimal performance. Integrated multimedia mixed reality system, of real time virtual diving, by web tele-operated underwater data collecting robots, diffused online and through a network of submersible simulation devices. Discovery of ocean depths concerns every one of us. Recent developments of new technologies, of underwater robotic and of GPS are changing dramatically the way people perceive oceans, not anymore from their surfaces, but through their depths, not in immersion but on-line, not deferred but in real time. This is the objective of Digital Ocean. New technologies are now capable of challenging traditional scuba diving by creating an innovative form of diving, based on science and technology, not on bravery – virtual diving in real time. Navigating freely in the oceanic realm, a dream rooted on man’s origins, is now accessible to all. Smart autonomous robots are used to collect underwater digital data that generate sceneries of undersea in 3D interactive imagery. Then, these preprocessed background productions are merged, through mixed reality, with real time 2D videos taken by other distant underwater remote controlled robots teleoperated via the internet, and diffused on-line. As a result, through the web, anyone, anywhere, at any moment – with minimal costs and no risks, will be able to dive virtually in real time, in the most remarkable and secluded sites around the world, unconcerned by sea depths, and get an unmatched quality of images, discover a variety of details, experience the feelings of diving without its constraints and, above all, keeping undisturbed the environment Thus, virtual divers alone or in groups, will be able in few days to discover more than a real diver during all his lifetime. 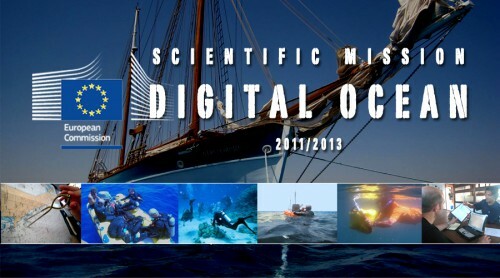 To further enhance virtual diving experience, are integrated in the system a serious video game, a wiki-editing and e-learning platforms, linked with marine specialists. Divers themselves will build their immersed world, keeping virtual sites mirroring real sites, continuously updated and improving in realism. With Digital Ocean, the discovery of the other two thirds of our planet’s immersed territories will become eventually and irreversibly reachable. The project aims at developing control for coordination of distributed systems for five case studies and in regard to control theory, communication networks, and computation. The case studies are: coordination of under water vehicles, coordination of aerial vehicles, coordination of automated guided vehicles, coordination of a distributed complex machine, and design of a hierarchical control and command system for a motorway network. OceanScan-MST contribution: develop and make available underwater vehicles capable to test the developed control distributed systems. Read more about the project results in this book. Since its foundation, OceanScan – Marine Systems & Technology has focused on marketing a new and revolutionary technology for underwater data collection – the LAUV (Light Autonomous Underwater Vehicles). These vehicles may be seen as platforms capable of navigation in underwater environment. They can incorporate various types of sensors and sonars with multiple applications on the wide spectrum of underwater sciences. The term “Light” is related with its key features: reduced weight and size, ease of operation and low equipment cost, thus providing a simple and economical tool for the study and monitoring of water resources. OceanScan contribution: With the support of the QREN incentives, using the Xtreme project, OceanScan is now preparing a new series of vehicles with significant improvements in term of: mechanical reliability and efficiency, navigational results and capabilities for obstacles detection and avoidance.